Working in the military can obviously result in life-long issues such as PTSD. The good news is that trained social workers who specialize in this field can use evidence based treatment such as CBT, CPT, and exposure therapy. PTSD can be triggered by sounds, places, and visuals. Something you may not know is that it can also be triggered by food. As one can imagine, PTSD can permeate one’s life in so many areas and be quite debilitating (Connie Sturgeon). 3. For those who have never individually experienced PTSD, it may be hard to wrap your head around what it feels like. Imagine this: you go away somewhere, wherever it may be, as one person and you come back as a different person. Once you come back, you constantly have two “individuals” in your brain; one being yourself and the other being the PTSD. Connie Studgeon will help the vets learn to cope with the symptoms which will in turn allow them to live a more normal functional life (Connie Sturgeon). Intuition: if you have good intuition, Connie Studgeon suggests to follow your gut and not to question your instincts. Flexibility: each veteran has a different story, different experience, and is all around just a different person. It is imperative that you tailor the treatment based upon the veteran and his or her needs; you cannot always just go by the book. Active Listening: you need to really listen to the people talking to you because they know themselves best. You need to let them know you are here for them and that if they decide not to speak the truth it is going to hurt them more than it will hurt you (Connie Sturgeon). 5. As you know, social workers are not robots; they have emotions and reactions. 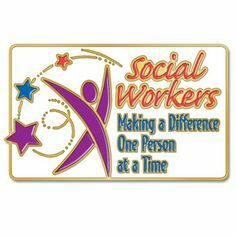 While they love what they do, it can still be somewhat emotionally draining and take a toll on the social workers themselves. Therefore, they have weekly clinical supervision as well as team meetings in order to debrief and talk about particular difficult cases. Furthermore, they will even practice mindfulness themselves in order to help them cope (Connie Sturgeon).